Saint-Barthelemy is a French island in the Caribbean, but you may have heard about it as Saint Barts. It is this tropical island where the rich and famous go to relax, but it does not mean you cannot enjoy it as well. With its white sandy beaches and perfect weather for a bath in the Caribbean Blue, Saint-Barthelemy is the ideal vacation destination. Nevertheless, before you start planning your vacation to Saint-Barthelemy, you should know a few things. First of all, you must see whether or not you need a visa. Saint-Barthelemy is a French overseas territory and a part of the European Union. As a result, there are a lot of different nationalities that can enter the island and stay there as long as they want. At the same time, many nationalities are visa-exempt for periods of time that vary from 3 to 6 months. 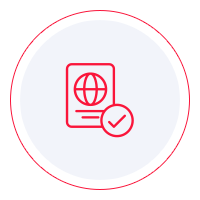 You need to check the lists in the French overseas territories visa policy so that you know in which category you fit in. There are few restrictions and limitations, and chances are that all you need is a valid passport for your trip. If you do not find yourself on none of the visa-exempt lists, your only choice is to go to the nearest French embassy and submit a visa application. Our advice is to give them a call ahead so that you can learn about the visa requirements. There is a lot of available information online, but you should use it as a reference only. As to how you can get in Saint-Barthelemy, you can reach the island by plane, but not a commercial one. The aircrafts that fly in Saint-Barthelemy are small so that they can land on the short runway. Planes are available from the United States, Europe, as well as from anywhere else in the Caribbean. Ships can also reach Saint-Barthelemy, but the ferries do not go there all year round because of the cyclones. Getting around the island is even simpler. Since Saint-Barthelemy has such a small surface area, everything can be reached by car in about half an hour. Many vacation packages include a small 4X4 that you can use to reach all the places you want. The official language in Saint-Barthelemy is French, but English is quite standard. Creole is also spoken on some parts of the island, but it is losing ground to English. The bottom line is that if you speak English, there will not be any communication issues. One of the things that some people like to do in Saint-Barthelemy is to get married. Indeed, the scenery is dreamy. It is the perfect place for a wedding on the beach. Blessings from several faiths can be organized. However, there is one condition. For a wedding to happen on Saint-Barthelemy, at least one of the future spouses must be a resident there for at least one month. As you can expect from French territory, the food and drink are incredibly good in Saint-Barthelemy. The cuisine is French, so be prepared to spend some money on eating out alone. It is pretty expensive. Cheaper alternatives can be found, but it would be a pity to visit Saint-Barthelemy and not try their fine dining. As for drinking, wine is widely available, and the prices are not as high as you may expect. When it comes to accommodation, you can take your pick. Luxury hotels and villas are available, but it is possible to go to Saint-Barthelemy on a budget. You do not have to spend hundreds of dollars per night just to sleep. If you make a reservation ahead of time, you may even get a discount. As far as safety is concerned, there is basically zero crime in Saint-Barthelemy. There may be some petty thieves, but that is about it. Health-wise, you do not require any vaccinations before departure. The bottom line is that Saint-Barthelemy is a dream location. The beaches are pristine, the sights are amazing, and you can relax the entire time you are there. Not to mention that you can do a lot of fun stuff. The prices may be steep, that is true, but if you can afford it, you are going to have an unforgettable vacation.